A pattern is emerging these days. In a nation of news-numbness, the media, and increasingly everyone, are driven to extremes to arouse the masses and generate interest. But is it good for the American people? An awareness of this reaching to extremes seems to be cropping up in many places. One of the people to be admired for his focus on it is Jon Stewart. He began his campaign in 2006 when he visited the loudmouthed CNN “news” “debate” show “Crossfire” and started then-bow-tied Tucker Carlson on his current professional downward spiral. 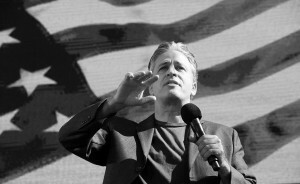 Stewart’s message was, “Stop it.” More explicitly, stop with all the polarizing shouting, rage, anger and overall theatrics playing to the worst instincts of the terrified masses. “You’re hurting us,” he said repeatedly. From there he has worked this agenda month after month on his show — begging and pleading such hyper-vocal telepersonalities as Chris Matthews (whom I happen to be an enormous fan of) to pull back on the overall noise and chaos they foster. His crusade came to a poignant climax last fall with the brilliant speech he gave at his “Rally to Restore Sanity,” on the Capital Mall in October (though his speech last week about the Tucson shootings was boring — he’s not always brilliant). In a world of spiraling polarized chaos, one man seeks to reduce the noise. Yet despite the insanity, we do still have limits to how far the media can go in our society. We’ve decided it’s okay to invade the privacy of sad, desperate individuals who call 911 after they’ve witnessed the horrific death of a loved one — no one has any qualms about sharing those panicked voice recordings which are so much fun to listen to. But if there were photos of the dead loved one, decapitated after a catastrophic automobile accident … well, releasing that would be going too far. So why hasn’t any of this thinking been applied to the release of the Jared Loughner photo by the Tucson police? It is a photo that is terrifying to most people, playing into everyone’s worst nightmares of the lunatics that might be wandering free in our “out of control” society these days (which recently reported the lowest violent crime rate in decades). Do you think anyone would have stood for the police letting him put on make-up before the photo to make himself look more evil? No. But it was okay to put on an expression that accomplished the same. Why does this matter? Because it has instantly become THE iconic photo. Look at the photos of all major assassins in the U.S. in recent decades. Does it resemble the standard photos of Lee Harvey Oswald, Sirhan Sirhan, James Earl Ray or John Hinckley? No. But it definitely matches photos of Charles Manson. And there you go, the boogeyman. 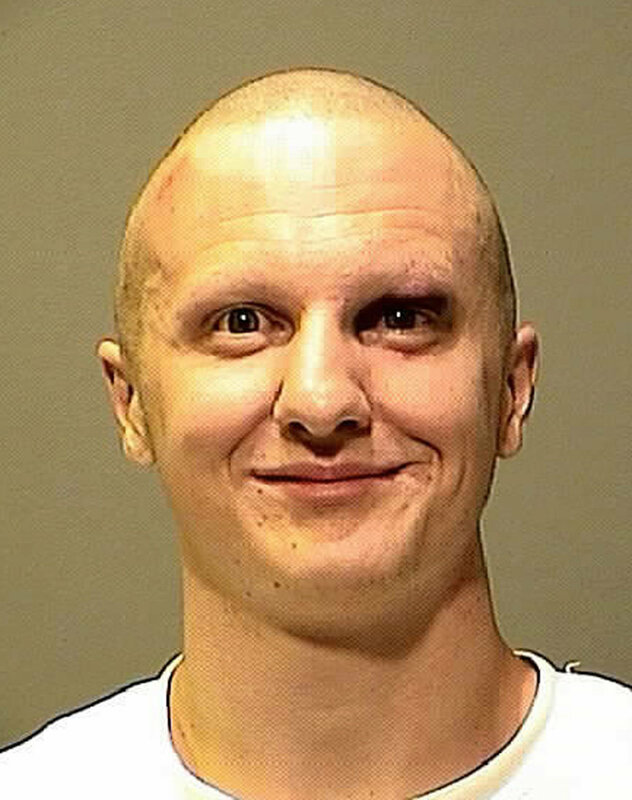 The Tucson Police didn’t need to release such a disturbing photo. All they had to do was tell the idiot to quit smiling. ANYONE can produce that creepy expression. I have photos I took in film school of a gorgeous actress for a short film where I had her make a similar deranged expression. ANYONE can do it. Did they try asking for a different expression? Did they think to shoot more than one photo. Did they try taking a photo at a different time? Most importantly, are any of the fear mongering media asking this question of, “Why did we have to have THIS picture of the guy?” Ten years from now, the photo will still be the one used to tell the sad story of what happened. And why is this a problem? Ask Jon Stewart. Ask Naomi Klein, author of “Shock Doctrine.” Ask Adam Curtis, writer/director of, “The Power of Nightmares.” If the public doesn’t want to be fear-driven, they need to ask these questions. So this leads into a series of posts I’m going to do in the next few days from Tromso, Norway where I’m spending what is sure to be ten very intense days in the land of climate change and long attention span. A couple of weeks ago the German magazine Spiegel talked about how numb the public has become to the subject of global warming, resulting in communicators going to greater extremes to grab attention (they even cited my term “bo-ho-ho-ring” that Andy Revkin had quoted a few weeks earlier in our discussion of just how bo-ho-ho-ring climate science is to the public). I’m in Tromso, Norway for 10 days of talks, screenings of “Sizzle,” and a 3 day videomaking workshop with 25 climate science graduate students. But nobody is bo-ho-ho-red with global warming here in Norway. The tundra is melting, opening up vast new oil and gas fields. The Arctic north is THE frontier for this country which traditionally has viewed their northern regions as a sort of wasteland inhabited by few. Now Tromso, their northern-most city, is the gateway to opportunity. Over the next two weeks, in the dead of winter, with no sunlight (we’re above the Arctic Circle), hundreds of scientists and other climate related folks will pour into this little town to take part in the Arctic Frontiers conference and a number of other activities. Preceding it is a special conference of Nordic science communicators, for which I’m taking part on a panel in a few hours discussing whether the science community is going too far (“too far” mind you!) in the promotion of science to the public.